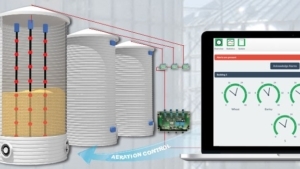 Tornum’s capacitive level indicators are designed for monitoring and control of automatic grain handling systems. 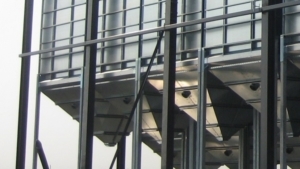 They come with a special height-adjustable fitting for installation in the silo roof. • A mobile level indicator is connected to a one meter pipe using a terminal box. It can be installed suspended or through the floor, depending on the various angles of repose. • Can be used in the elevator pit to stop the elevator when the pit is empty. 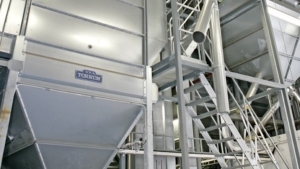 • Can be used in the dryer or bin during filling between the conveyor and elevator, to prevent overfilling. • Can be used in a concentrate/grain bin to stop the crusher/grinder when the material runs out. • Can be used in a feed bin to stop the crusher/grinder when the bin is full. • A fixed level indicator can be installed in the dryer or the wall of the storage bin.